You've just bought your first bag of Skullduggery. Props to ye. Eager to throw yourself into the heavenly delights of a caffeinated concoction, you dust off that plunger your Mum gave you 2 years ago, or plug in that old coffee machine praying it's electrically sound, and start fervently brewing with the vigour of an 8-year old filled to the brim with red cordial. Hold ye horses. Ye ain't read the Basic Parables yet. Feast your eyes on a few basic starting points below, to get the most out that delicious bag with the skeleton hand on the front. Those beans have gone through many caring hands to get from origin to your kitchen bench, you don't want to be the one to muck it up! Do ye? Grind fresh young grasshopper. Coffee loses its flavour quickly once ground. Hence why we are a bit pushy in recommending you buy a grinder when you order it pre-ground off us. Arguably more important than your coffee machine itself, a good grinder is crucial to a good brew. Blade grinders are for herbs, get yourself a burr grinder, and grind fresh every time. Take care when talking to non-coffee people, they can get grossed out when you begin to tell them how happy you are with your grinding lately. 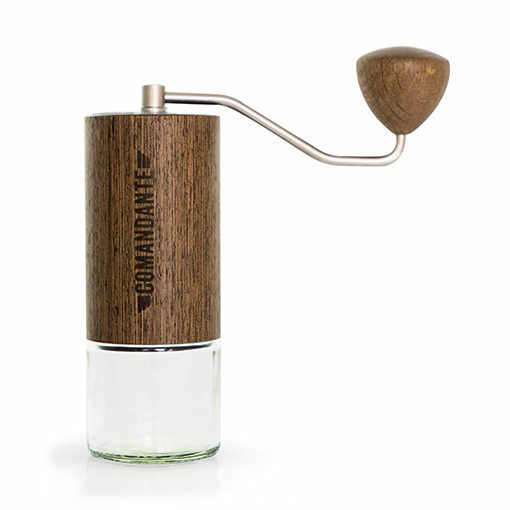 We generally recommend hand grinders as they provide much more bang for your buck. Our preffered option is the Comandante C40 Nitro Blade (available in Oz from Proud Mary, or Thump for our US friends), but also recommend the Knock Felgrind at a more palatable price point than the Comandante, or a Porlex Mini for as very basic entry-level hand grinder. The easiest way to ensure you get your strength right every time. You don't want to have the rampant fluctuations in strength you get when you try to free pour cordial do you? Of course you don't! Weigh your dose of coffee, weigh your water going in. It's quick, easy, and will guarantee you haven't mucked up your ratios. Check out the brew guides for recommendations on coffee to water ratios. 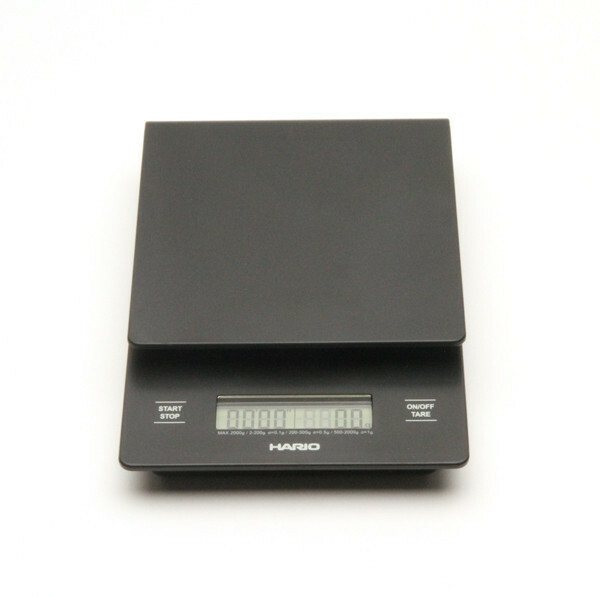 We recommend the Hario Drip Scales for a double dip of scales and brew timer in one, but any digital scales will suffice! Water is the Backbone of Ye Life, and Ye Brew! Feeling a bit parched squire? Lacking a little radiance is ye dehydrated state? Your coffee feels the same way if your water source is lacking vitality, or too is too scolding hot. We get that not everyone shares our zeal and high brewing standards, and that using tap water is most often than not unavoidable, but know that it's laden with excess chemicals and minerals that are wildly affecting the results in your cup. We brew at home using a water recipe with a base water that's mineral-free, but we re-add minerals to a recipe in order to control the variable. Coffee tends to want some particles in the water to attach too, but not to the abundance of dissolved solids found in Australian tap water. The other thing is, you can't actually taste anything if the water is too hot. Thus, we like to use a kettle with a controllable temperature setting. If filter brewing, making an initial pour of 94c is optimal, but let it cool slightly to start experiencing the sweetness of our coffee that follows tantamount to a drop in temperature. If you don't want to invest in hedonistic kettles, then just flick the kettle off before it hits the boil. Reflection ain't just what you look at while your brushing your teeth. Have a taste. What does it taste like? Is it as bitter as a grizzled employee robbed of a job promotion? This usually indicates over-extraction. Grind a little coarser next time. Is it as sour as me when I don't get my thankyou wave when I let another car in traffic? Even when I didn't really have to? This usually means under-extraction. Grind a little finer next time. For more on how to taste extractions and what to do, check out Barista Hustle for a more comprehensive guide. Weigh ye beans. 12g for 200g of water, or scale up or down to suit ye thirst (60g/L). Rinse thy filter paper with some water, you don't want a brew that tastes of parchment do ye? Filter paper goes in the V60/Chemex. Der. Grind ye beans. About Kosher salt coarseness. Nod to yeself, happy with the olfactory abundance that Skullduggery has provided. Pour initial bloom of 50g of water. Stir like a governor. Wet all them grounds, quick now! At 30 secs, pour another 50g. When the water level is starting to get low, fill her up with another 50g. Repeat step 12 for 200g total, and leave to pour through. You're done! You want about 2:30 total pour time. Grind finer to slow her down, grind corser to speed her up. Ring friends instantly to tell them about the delicious beverage currently in your paws. The Plunger. It doesn't have to be a bittery, sludgy abomination. Use nice coffee, grind it fresh, and you can have a nice filter brew. Weigh ye beans. 14g for 200g of water, or scale up or down to suit ye thirst (70g/L). 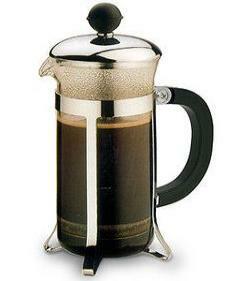 At 2:00 plunge, and pour into another vessel to stop the coffee extracting. Instagram a selfie with beverage. For more information on plungers, click here. Rinse ye aeropress filter with a bit of water, and screw it in to the aeropress. Place base of aeropress over your brewing vessel, paper filter end at the bottom. Pour your coffee into the aeropress, with the solemn dignity it warrants. At 1:00 plunge gently with the plunging part of your aeropress. Construct a long, loquacious and eloquent email detailing your tasting notes and memorising coffee experience. Hit 'send to all contacts'. Effing complex. If you want to become a guru, head across to Matt Perger's Barista Hustle and trawl through the literature there. Keeping the 'basic', in the 'basic parables', give the below a shot if you want to get started in a hurry and don't want to go cross-eyed. Preheat your espresso machine, to bring him up to a nice, stable temperature. Grind 18g of coffee into your basket, about the consistency of confectioner's sugar. Distribute the coffee as evenly as possible across the basket. On a flat, level surface, firmly tamp the coffee as evenly as possible. Purge your machine head with a little water, and then lock you portafilter into place. Extract around 45g of liquid aiming for around 25-35 secs pour time. If it's taking too long, grind coarser next time, if it's not taking long enough, grind finer next time. Stir delicacy with a spoon, look wistfully into the distance, and sip the nectar of the gods. Immediately Facebook a long post detailing experience.